Black Friday is traditionally dominated by big box retailers. Consumers know and trust retail chain brands and line up for hours or even days to be the first ones inside the store and snag that deal they’ve had their eyes on. Even Cyber Monday funnels most traffic toward sites like Amazon, so where can a small business crack open the Black Friday market and make a buck of their own? It all depends on making the best use of marketing and sales techniques to attract as many shoppers as you can. Businesses probably won’t be able to have customers lining up for days in advance, but as long as the crowds are there when they open their doors, nothing else matters. 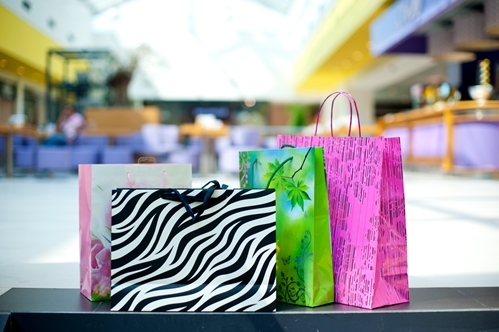 Check out these five ways your business can get into the Black Friday shopping spree. Many Black Friday shoppers like to detail their plans of attack before they even set foot outside the house that morning, which means they already know what each store they’re going to offers. This isn’t the time for small businesses to experiment with an untested product line or devices of iffy quality. ValPak urged businesses to take their biggest sellers during the other 364 days of the year and pull out all the creative marketing stops to get the word out about new prices or features for Black Friday. It’s sales that draw customers into stores, so businesses should focus on marketing the temporary affordability of their products over everything else. If small businesses want any chance of hanging with big box retailers, it takes a little advanced preparation to let the public know about their sales. Radio and TV ad campaigns are likely to be drowned out from those of national chains, but branded marketing materials can give consumers something physical from your business to hold on to. Canvas the neighborhood or the parking lots of major retailers and hand out branded items like the Journey Through America Custom Wall Calendar. Customers can use them to plan out their days before and after Black Friday, and your business can place its logo on the exact date in the calendar for maximum visibility. Large retailers combine shopping, dining and entertainment options in one location to attract customers to their stores, but small businesses that specialize in a single service or product can’t compete with this. However, if your business is located nearby others, you can coordinate to have a Black Friday event spread across several stores. See if coffee shops in the area are willing to open at midnight to serve beverages to customers as they browse stores. Give customers discounts if they buy items from several stores. Turn your strip mall or Main Street into a holiday-themed shopping center. All of these moves will make customers feel like they’re getting the traditional Black Friday experience from small businesses. Customers readily accept the fact that the deals they find on Black Friday can’t be found anywhere else. Small businesses should take advantage of this by leveraging sales with a fixed expiration date. This can be half off everything in the store before sunrise or a buy-one-get-one promotion in the afternoon hours to keep a steady flow of customers. Stagger your deals, but make sure one is always active to give customers a clear reason to stop into your store. Just make sure you know how many units you can afford to sell at the discounted price before the temporary sale should end. MarketingLand.com explained that customers won’t like the “while supplies last” caveat, so make the sale short enough so that there’s no way you can be hurt financially. A shorter sale will also help drive demand and bring more customers in.